HSA Insurance is the premier marketplace for families searching for health insurance for college students in MA. As a leader in the industry for more than four decades, we partner with the Commonwealth’s top insurance carriers to offer 150+ health insurance products for college students at the most economical rates in the state. We offer health insurance for college students in MA ranging from comprehensive to catastrophic, and everything in between. HSA’s extensive product portfolio in MA also includes dental, life, disability, long term care, and integrated solutions. All of our health plans have passed Massachusetts Department of Insurance review. All our plans meet and/or exceed the state's law for Minimum Coverage requirements. HSA will help you select the type and level of coverage that best fits your college student’s needs, and is in the target budget for your family. HSA’s reputation and dependable and knowledgeable has been established over the company’s forty year history. The HSA Insurance combined team of professional sales agents and unparalleled customer support will take the time to answer all of your questions, and guide you in selecting the most appropriate option for your student. We even provide the simplest online tools for families like yours to search for health insurance for college students in MA. Our web-based portal allows customers to research, compare plans, and enroll on your own time. You can even pay your bills online in just a few minutes. We invite you to contact us today for more information about HSA’s participating plans, available products, or to request a quote. 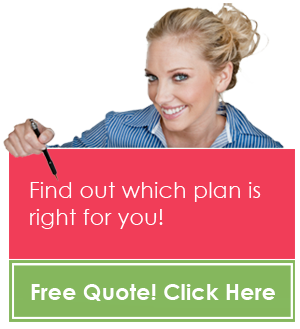 All you need to do is provide some basic information, and we will show you several health insurance plan options instantly. It’s simple and quick, so take a look and find health insurance for college students in MA today.